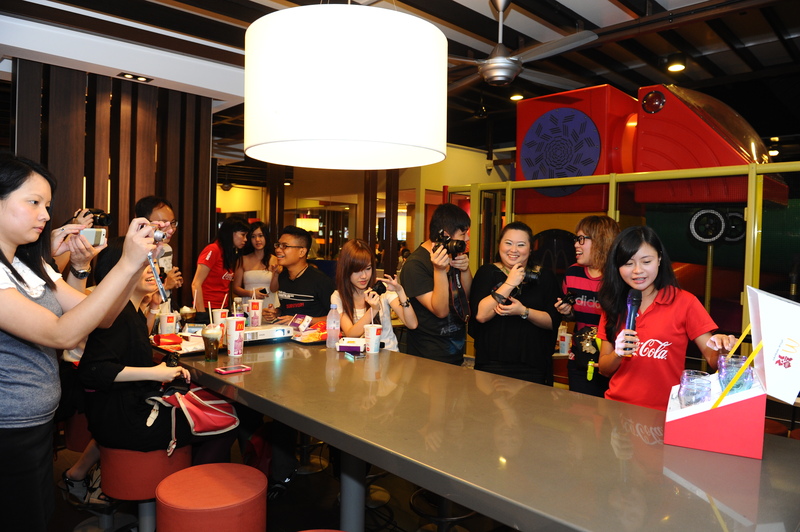 McDonald’s Coca-Cola London 2012 Olympic Games Glasses Launch & Meet SG Olympian Session! Was invited by omy.sg for another great event! 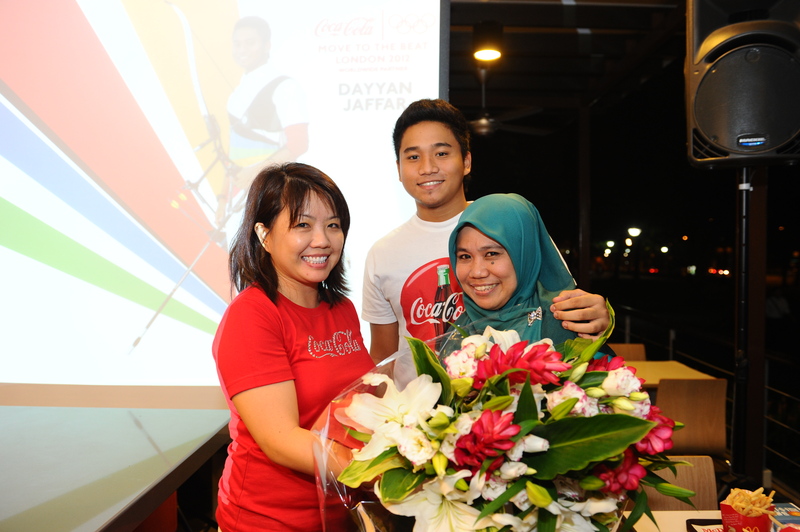 I am happy and excited to have this rare opportunity to meet Singapore Olympians; Dayyan Jaffar (Archery) and Dipna Lim Prasad (Athletics), before they leave for London! 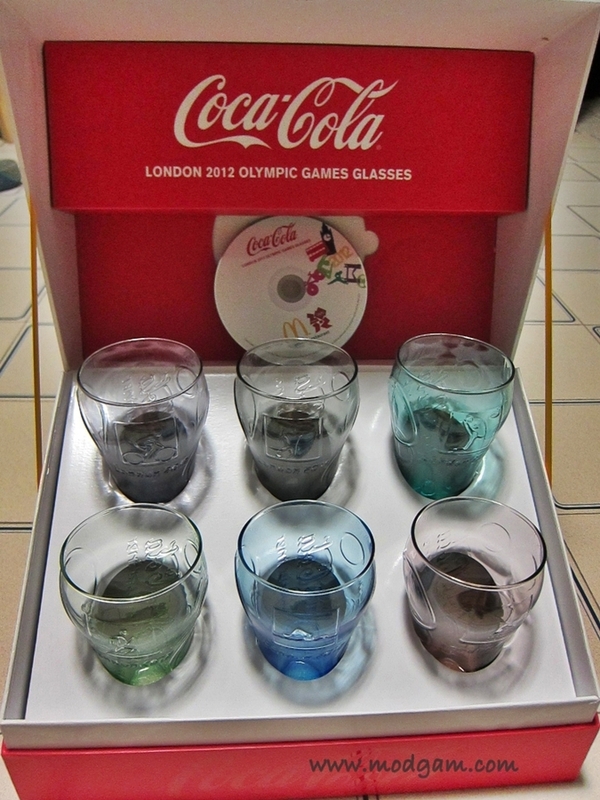 Also in conjunction with the Olympic, McDonald’s will be launching its new collection of ‘Coca-Cola’ London 2012 Olympic Games Glasses and I’ll get to see the whole set before its launch! 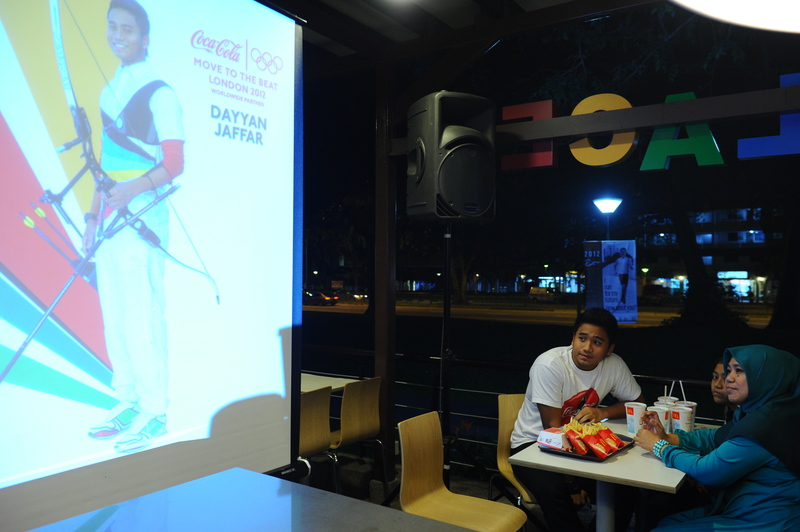 Due to training, Dipna wasn’t able to join us but I am still excited to see Dayyan seated among us. 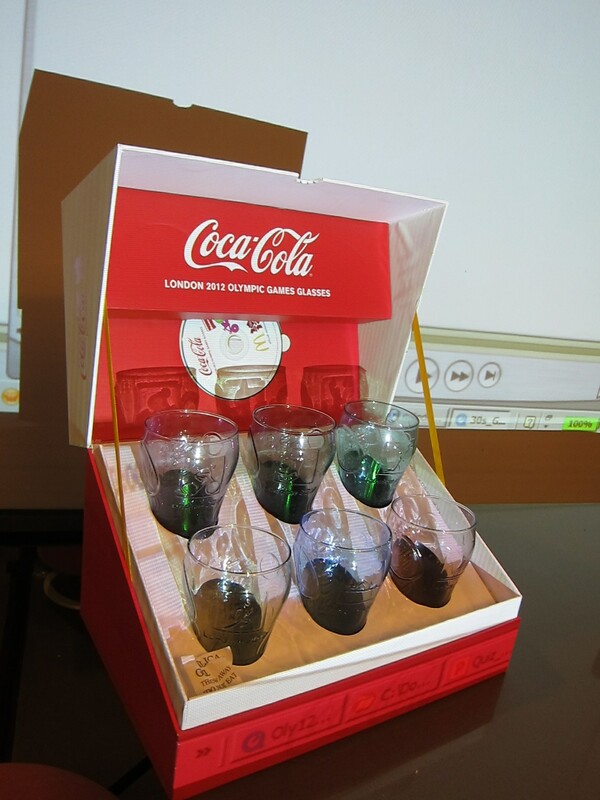 Presenting the limited edition McDonald x Coca Cola London 2012 Olympic Games Glasses!! Love the colors! 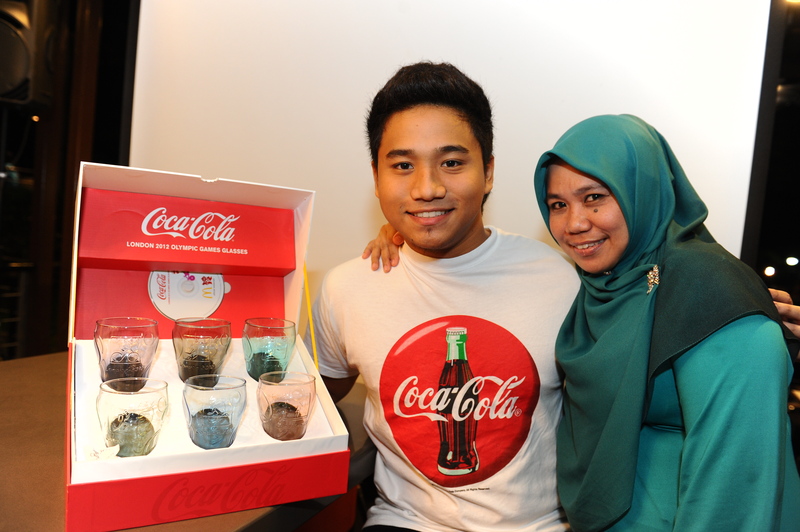 Coca Cola is very sweet and presented Dayyan’s mother, who is also present at Mc’s, with a huge bouquet of flowers! 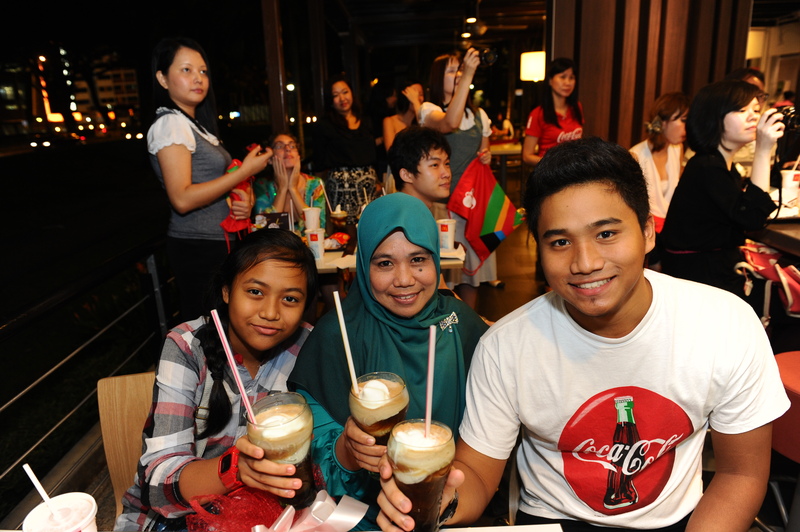 Presenting Dayyan, his mother and his younger sister. 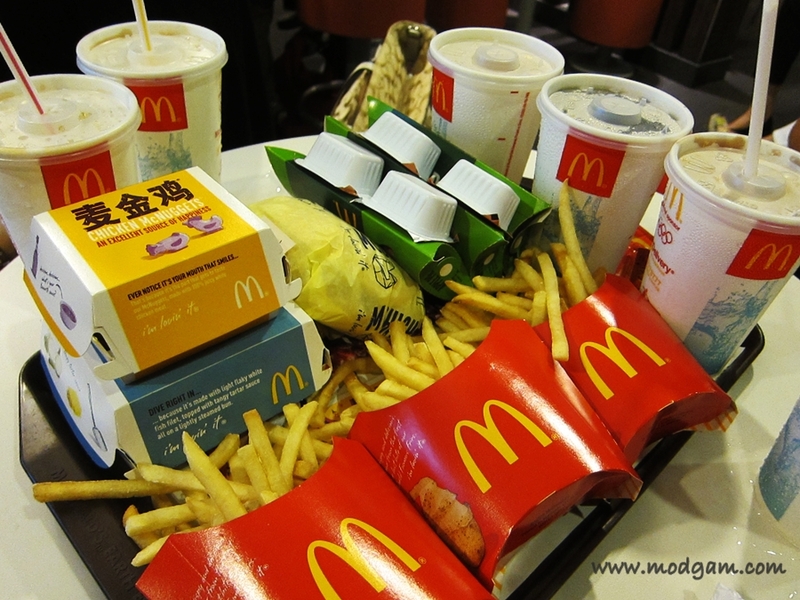 McDonald is really generous and allow us to order any dinner of our choice! 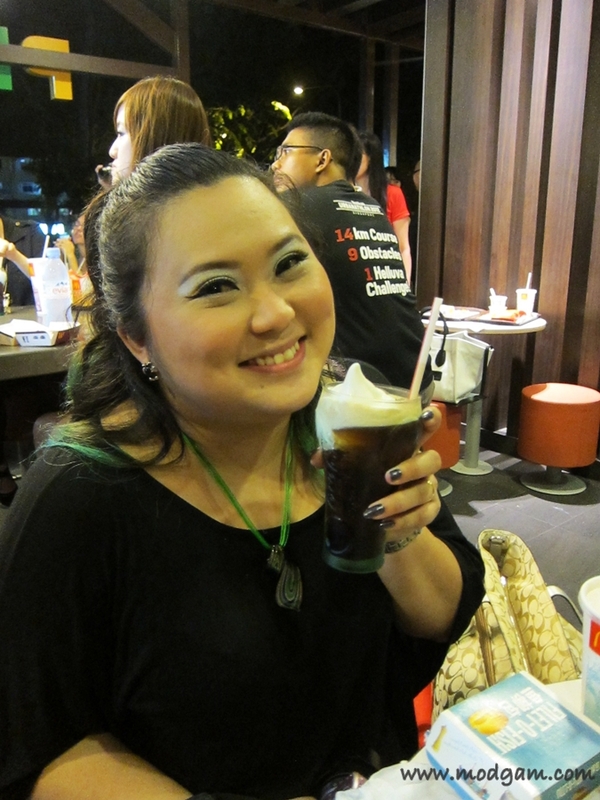 They even serve us coke float! 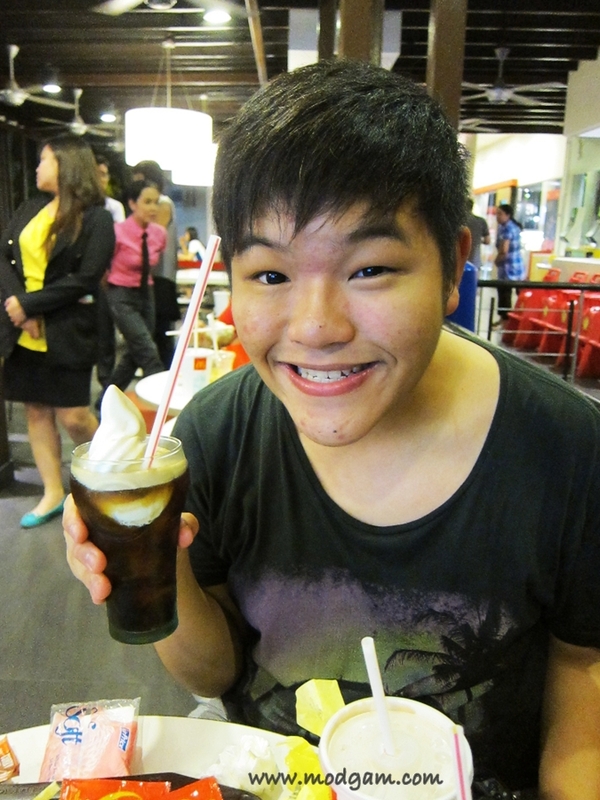 YUMMY YUM YUM! 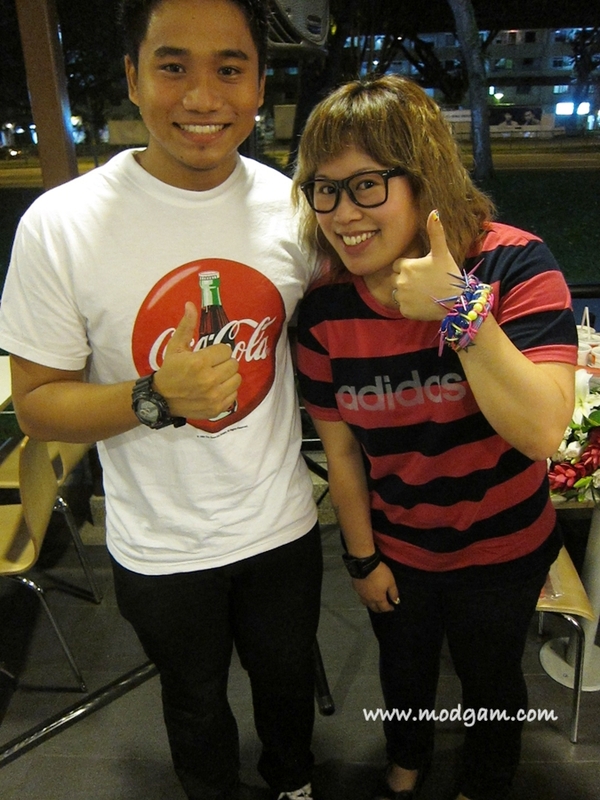 Remember Uncle Tehpeng from my 1st omy.sg Domino event? I am so glad we have been in contact and even get to attend this event together. Met a new friend Christina! Love her crazy colored hair and I am glad I am getting mine tomorrow! Headspace is sponsoring me a crazy new hairdo and I can’t wait to share them with you soon. Back to Christina, I love her hyper personality. 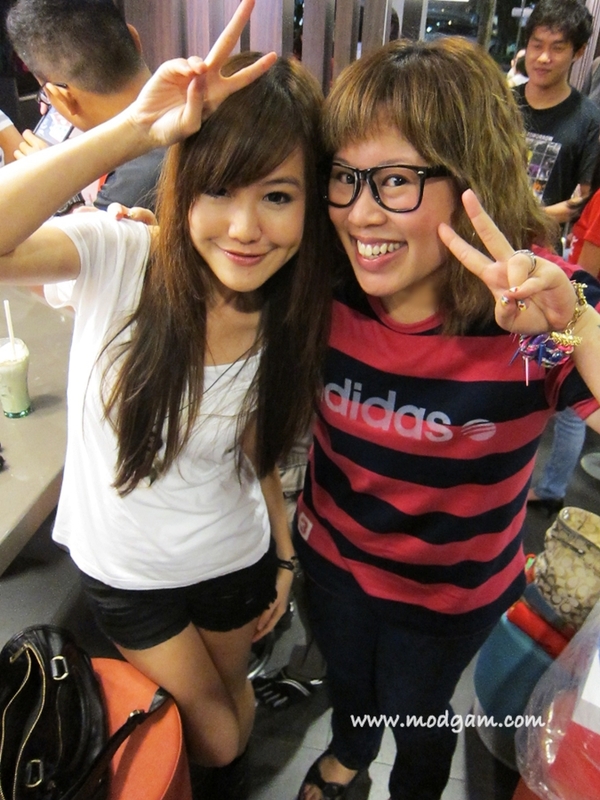 I saw her at a few events and she was always surrounded by many and we didn’t really had the chance to talk till now. 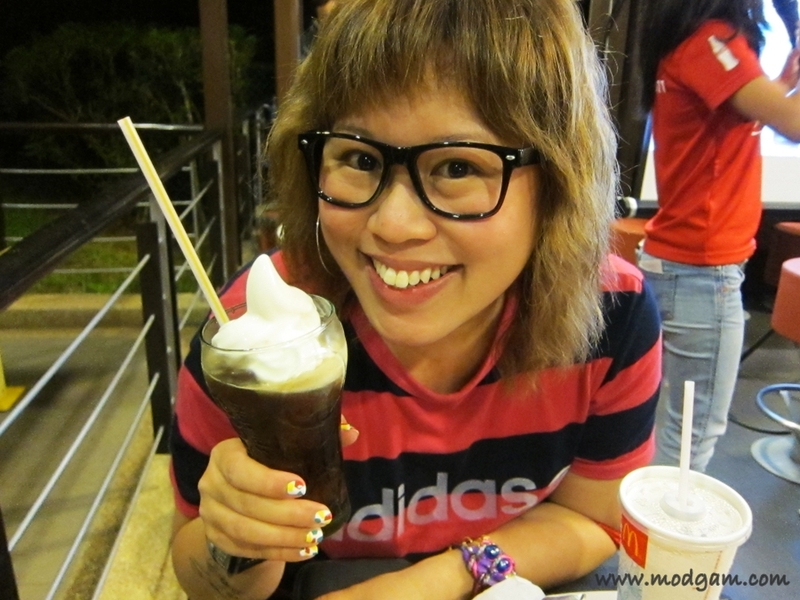 Meet the very very gorgeous Kiyo! Love her accent and charm. 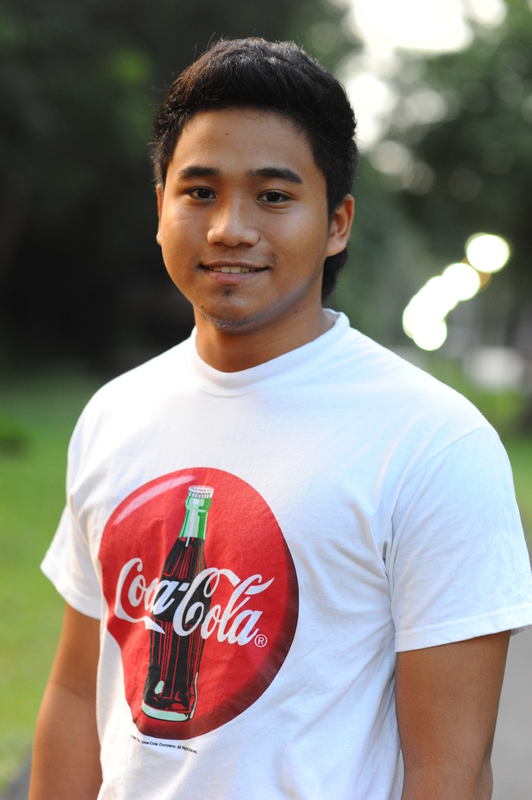 Best of luck Dayyan and I look forward to seeing your performance on TV! Do us proud! 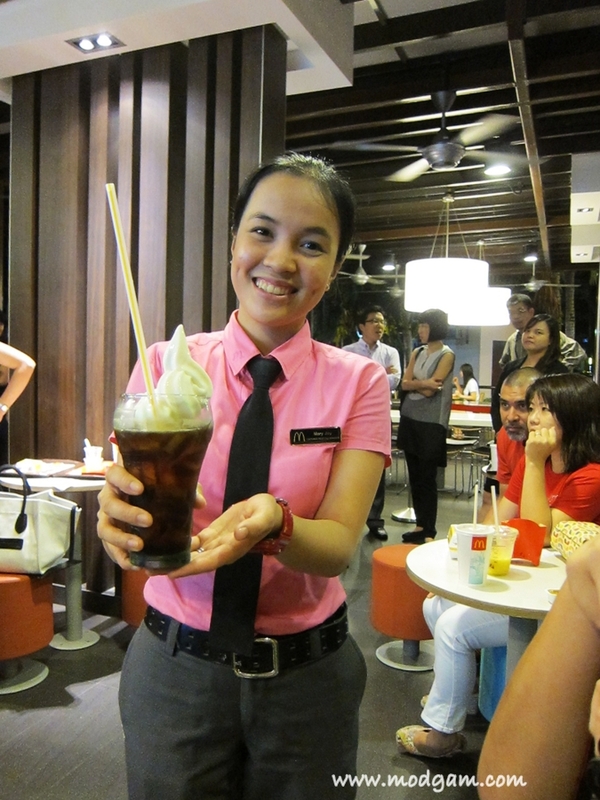 We receive the biggest surprise of the night! 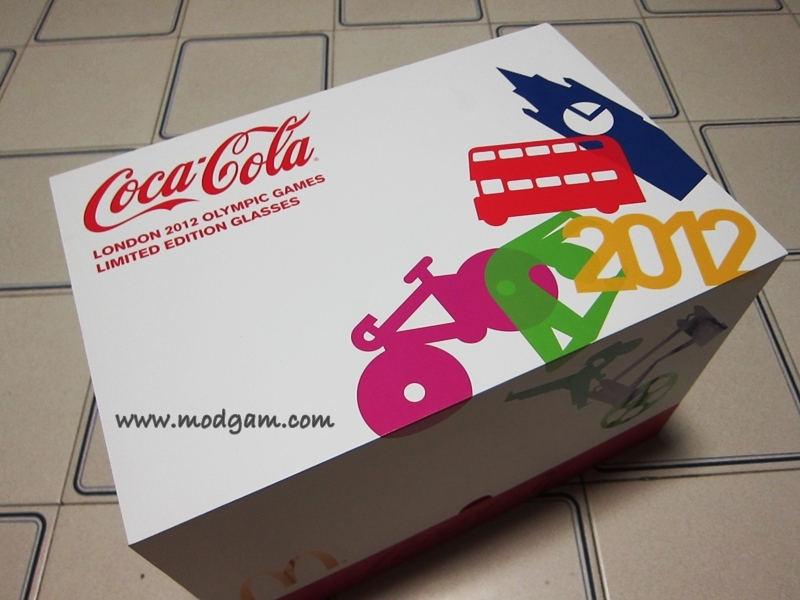 McDonald and Coca Cola gave each of us a set of limited edition McDonald x Coca Cola London 2012 Olympic Games Glasses!! THANK YOU!!! Who is going to win your archer or mine (Indonesia) ? LOL. 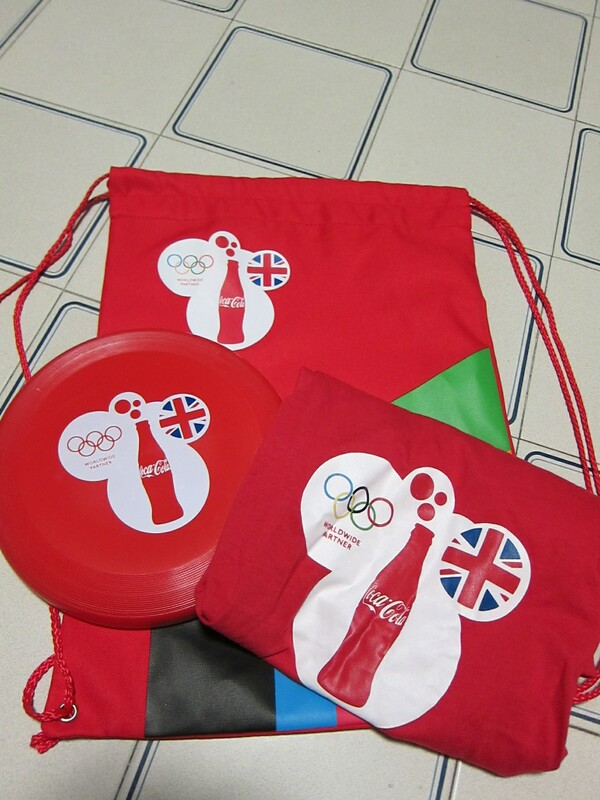 I heart Coca Cola for London Olympics..you should see their project at London. lets look forward to their performance.